If you refer to yourself in the third person in English it will usually sound a bit strange or perhaps even pretentious, depending on the context. In Chinese it is no different, but if you want to sound pretentious in Chinese you can actually go one step further and not just refer to yourself in the third person, but also refer to yourself in the third person as lǎo zǐ 老子. Lao zi says you’re a f*ing idiot/ I think you’re a f*ing idiot. 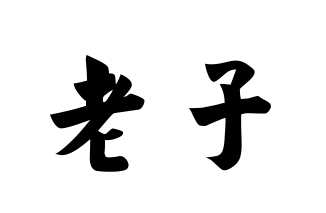 lǎo老 means old but has connotations of wisdom and respect, whilst zǐ 子 doesn’t really mean anything on its own. It can mean child or son, bus as a suffix it usually just indicates an object or person. lǎo zǐ 老子 is actually the name of the founding philosopher of daoism. Refering to yourself as lǎo zǐ is therefore analogous to a European calling themself by the name of one the Ancient Greek philosophers, or an Indian person referring to themself as Rama or the Buddha. Lao niang looks down on the idea of going on a date with you/ there’s no way I’m willing to go on a date with you. Unfortunately saying lǎo níang isn’t as effective as saying lǎo zǐ in an argument. 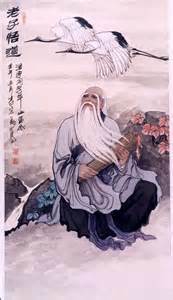 This entry was posted in Word of the week and tagged lao niang, lao zi, laozi, word of the week. Bookmark the permalink.